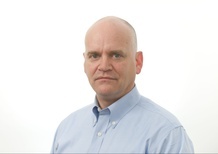 Ron Fournier is the Senior Political Columnist and Editorial Director of National Journal. Prior to joining NJ, he worked at the Associated Press for 20 years, most recently as Washington Bureau Chief. A Detroit native, Fournier began his career in Arkansas, first with the Hot Springs Sentinel-Record and then with the Arkansas Democrat and the AP, where he covered the state legislature and Gov. Bill Clinton.